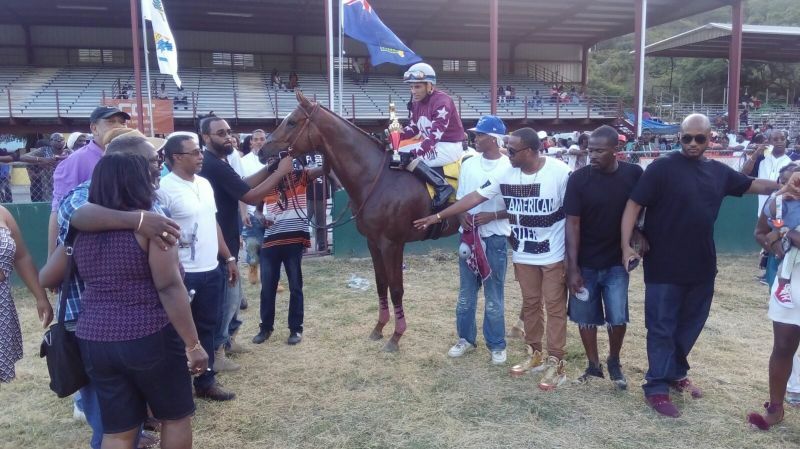 Totally Evil, owned by Alliance Point Stables of St Thomas, US Virgin Islands (USVI), swept the biggest purse of $8000, followed by Giant Valley of Top Priority Racing Stables, who the $5000 purse. In the final and feature race, 7 furlongs for Class A Horses with a purse of $8000, Totally Evil dashed out of the gate and never looked back as the jockey seemed to have got the tactics right. 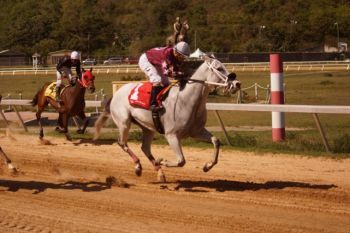 Park Ranger began to make inroads into Totally Evil’s lead in the closing stages but the horse from St Thomas was able to make it home by nearly two lengths. 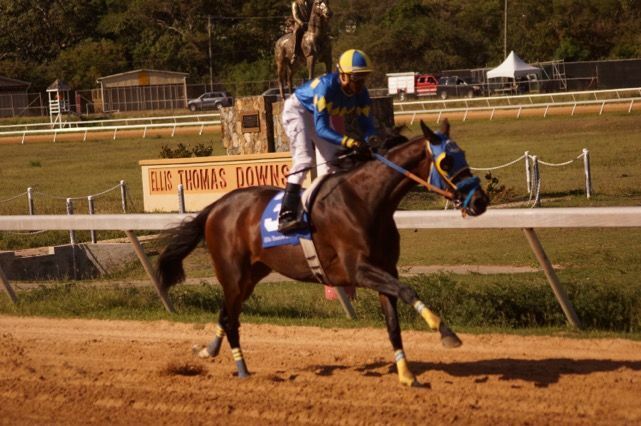 In second place was Park Ranger of Thomasville Stables, followed by American Creed of Top Priority Racing Stables. 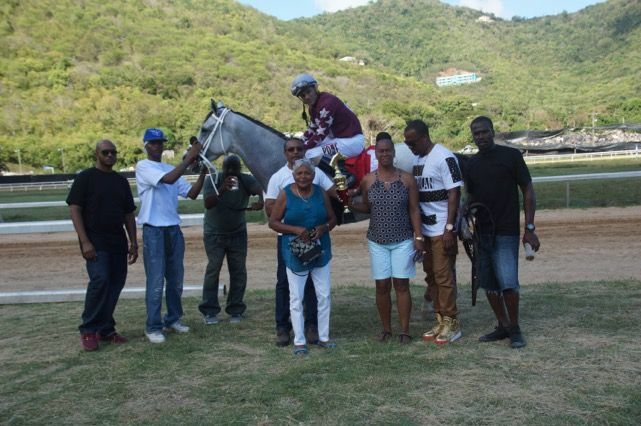 Honors from Family Affairs Stable came in the fourth spot, while the other horse slated to compete-I’m Sensational from St Thomas of No Limit Stables- was scratched. Honors appeared to have suffered an injury as he limped home. 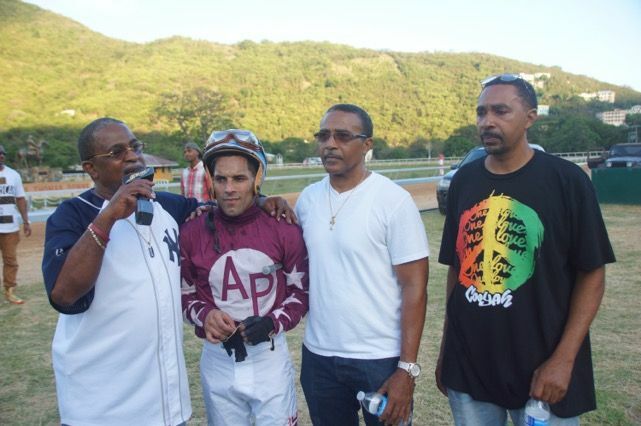 Jockey Victor Santiago for Totally Evil said the race was a preparation for the upcoming major race in St Thomas, The Governor’s Cup, and expects a similar fate. “He’s got natural speed. I don’t think nobody can keep up with him from the gate. He is too fast,” Santiago remarked. Meanwhile, the owner Stanley Smith said it was an expected outcome. 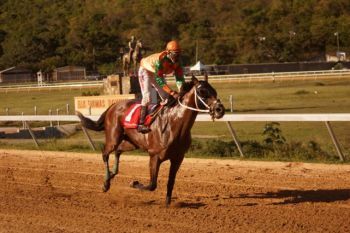 Despite being the last in the pack in the early stages, reigning Governor’s Cup Champion Giant Valley of Top Priority Racing Stables reigned supreme, coming out on top in the 7 furlongs for Class C and B Horses, and winning a purse of $5,000. “It feels nice, I am used to big purses, I’m used to losing big purses also, but today was a nice day. We appreciate it,” owner Lesmore Smith said. He pledged to defend and deliver on April 27, 2017 at the Governor’s Cup in St Thomas. 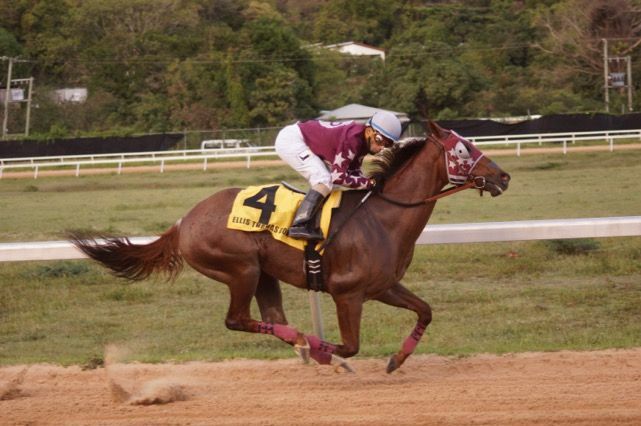 Meantime, Winston S. Hurst Jr- the Jockey- said it was his first win with the horse and despite wanting to be in the lead from the get-go, they were the last. Dablock from Thomasville Stables came out second, while Call Daddy of Alliance Point Stables did not finish the race. 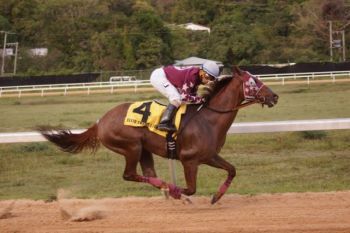 Going up the ranks to an additional $500 to the purse, in the 7 furlongs for fillies and mares Top Class Citizen of Thomasville Stables won the purse of $4000. 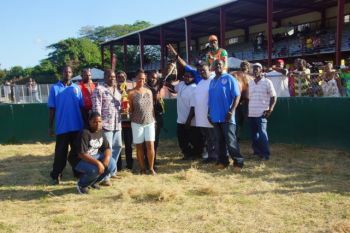 One of the owners of Top Class Citizen, Lenford “Bolo” Baptiste, said the horse came out second in its last race in St Thomas, and winning this race was important to them. 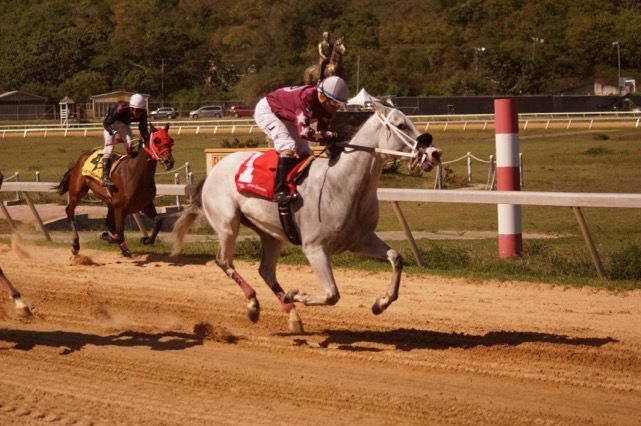 The four-year-old horse’s owners are predicting another win in St Thomas. Red Beard AKA Rags to Riches of Notorious Housing came second while the third horse, Moving Part from St Thomas owned by Andrew Attwood, was scratched. In the 7 furlong race for Class C Horses and a purse of $3500, debut horse D Q Rester of Alliance Point Stables came out first, followed by Sandler from Strictly business Stables and D. Big Gossip (debut) owned by Dion Stevens came third. Irish Smarty, owned by Black Label Stables, was scratched. 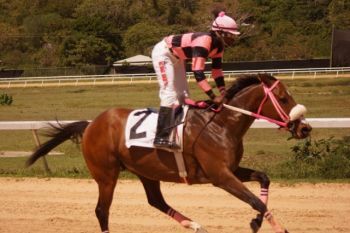 Also going for a purse of $3500 in the 7 furlongs for Class D Horses, Meddling Birdie owned by Mission House Stables won that race followed by Big Meow of Notorious Housing. 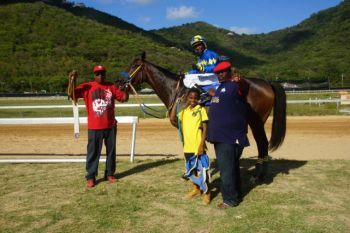 Sparky Bee from St Thomas, owned by No Limit Stables, was scratched. Bragging rights and the top prize of $8000 have gone the way of St Thomas, US Virgin Islands (USVI) as Totally Evil galloped to victory in the feature and final battle of the 5-race card at Ellis Thomas Downs in Sea Cows Bay, Tortola, today, April 2, 2017. Totally Evil of Alliance Point Stables was the only horse from St Thomas in the 7 Furlong affair for Class A horses after I’M Sensational was scratched. 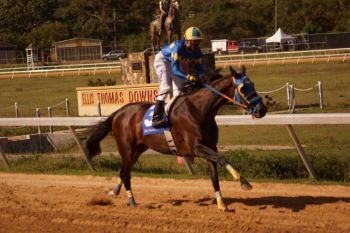 Second was Park Ranger of Thomasville Stables, third American Creed of Top Priority Racing Stables and fourth Honors of Family Affairs Stable. After they locking up our hero's where do you expect the money to go. election to elec who--you, why don't you volunteer your time and stop being a part of the problem!